Background: One of the fun things about writing reviews is when we are able to get our hands on cigars that are exclusive to certain shops. It’s even more exciting when it’s a blend that comes from one of our favorite cigar companies. This particular smoke is blended by Tatuaje Cigars, but exclusively made for the Casa de Montecristo Cigar Lounge in the Chicago area. Getting that out of the way – the Jackal gives a nod to Ancient Egypt, where jackals were an animal connected with both spirituality and the afterlife. Specifically, its often seen in the god Anubis… the god of funerals and death. Appearance (0-20): When pulling this cigar out of the pack it was one that stood out immediately to me. The black and gold label is simple and straightforward but shows off enough to get ones attention. 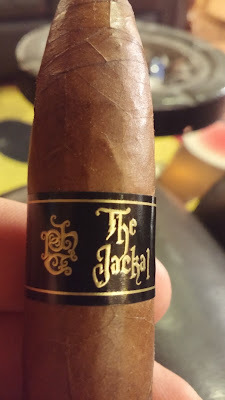 Front and center is “The Jackal”, with the Tatuaje logo on the left and the wording “Tatuaje Exclusive Series” printed on the right. The cigar itself has a nice rich coloration to the wrapper, reminiscent of a regular milk chocolate bar. Small veins are there, but minimal in number. Very right seams. The most striking portion of this would be the foot, which is not quite a shaggy foot, but closer to something of an “unfinished” state. 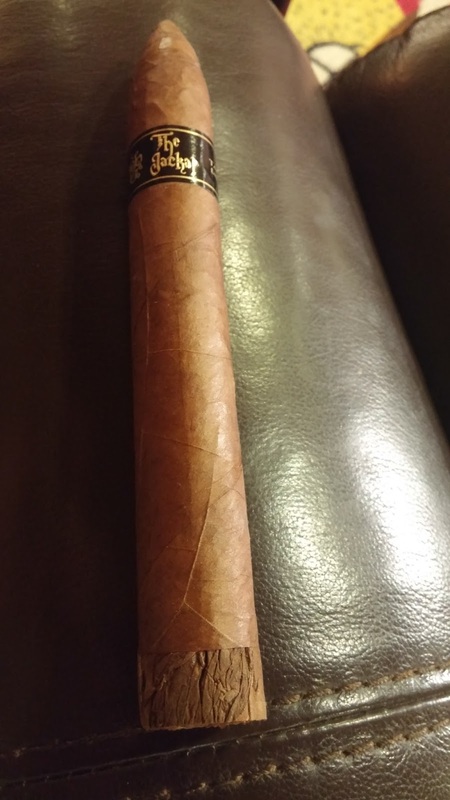 Construction (0-20): Before even getting into the bulk of the constructional review, it’s important to note that this stick uses the Sancti Spiritus wrapper, which is a mainstay in the L’Atelier Imports lines. The feel is slightly oily but is firm throughout. The initial cut is clean. By clean I mean literally no debris (as shown in the picture). The prelit draw was perfect. Upon lighting, everything remained status quo. The ash held for 2+ inches at a time with only a little deviance to the line. 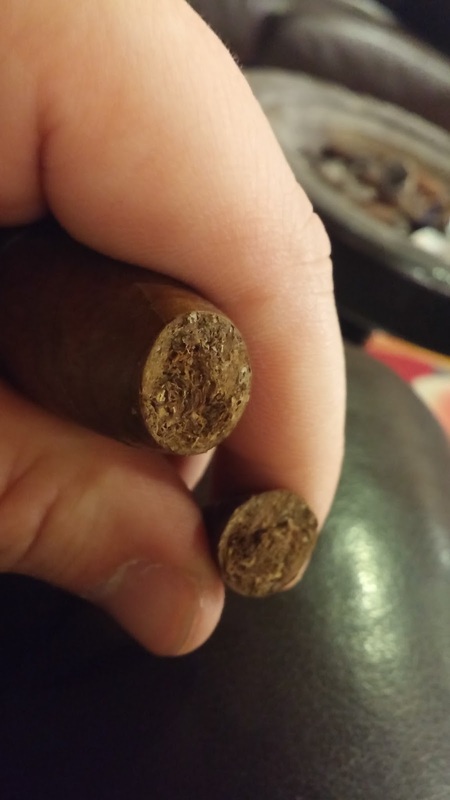 Flavor (0-20): When smoking a cigar that has any kind of unfinished foot, it becomes quickly evident just how much of a difference a wrapper can make. This one begins out with a slight spice, but it mainly has a sweet component that melds with a rich cedar flavor. And then the wrapper kicks in, bringing in a previously vacant creamy note. It’s a seamless melding of flavors that transition perfectly into the next portions. Winding this one along, there is a hearty natural tobacco flavor, along with some notes of cocoa and black pepper. The sweetness that resided in the first bit sticks around but almost becomes caramel-ish in nature. There is still something slightly bitter there, akin to a weaker espresso, and earthy undertones. At times I can get a taste here or there of spiced nuts. The final stretch finds the earthiness increase exponentially with the sweetness becoming an afterthought. The cedar and pepper still hide in there and will surprise you a bit if you aren’t ready for it. And that bitter coffee will take one last swing before all is said and done. 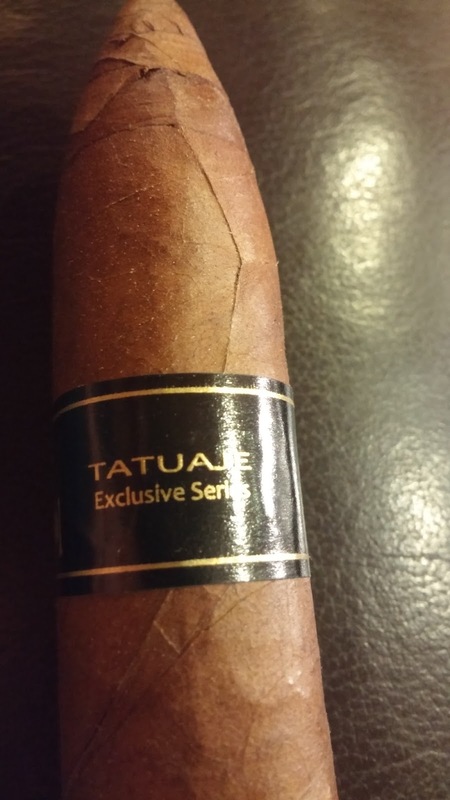 Value (0-20): At nearly $14, this hits a price range that a number of people would shy away from… that is unless they are acquainted with the Tatuaje lines. Plus, it’s an exclusive cigar which puts it out of the reach of most people as it is. Still, it’s worth the price, even if I’d like to see it as a bit less. Additional Notes: Paired with water. Provided by Casa de Montecristo Cigar Lounge, Chicago. 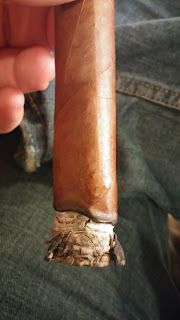 Overall (0-100): This offering from Tatuaje falls into the group I consider to be, “so let’s talk about what’s not to like about this cigar”… but that’s because it’s so good that its likely easier to talk about the few negatives than all of the positives. But alas, I will give you the actual wrap-up you deserve. From a first look, the cigar is intriguing enough to catch the eye. The black and gold label is simple…. But it pulls you in. And the unfinished foot is something a little out of the ordinary to at least get you thinking about what it could entail. Everything feels good about the smoke when picking it up, cutting it, etc. The draw is perfect… and the ash holds on for multiple inches at a time. And then the flavors take the full spotlight with this smoke. It’s got a nice amount of complexity and layers in multiple flavors in differing combinations to keep the smoke inherently interesting. Major flavor themes center on natural tobacco, earthiness, cocoa, and cedar. But without combining those with the secondary cast of pepper, sweetness, cream, espresso, and nuts – the cigar would be lost. It’s expertly blended and it shows through the smoking experience. It’s all balanced well in terms of flavor, strength, etc. The only thing that might be a negative for some people is the price of $13.90 per stick. There are a lot of people who feel more comfortable in the $10 or less range. Those same individuals may want to think about going outside of their normal comfort zone and giving this one a try. Heck, it is simply a box-worthy smoke. 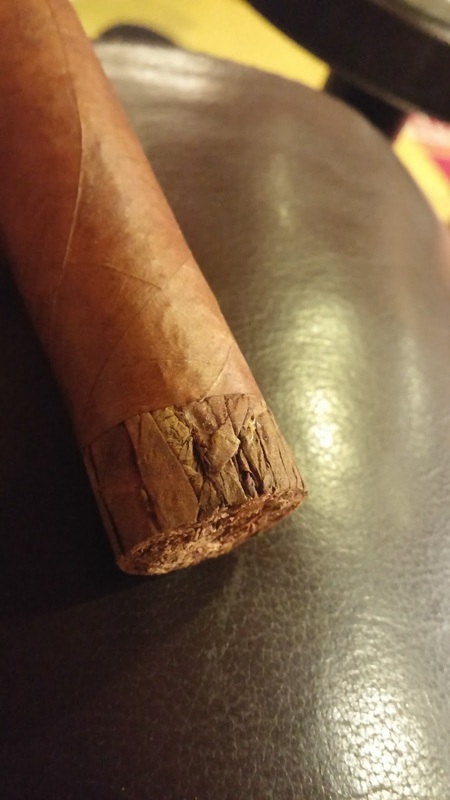 Its complex, well balanced, and really… it’s a surefire homerun for Tatuaje and the folks at Casa de Montecristo – Chicago.